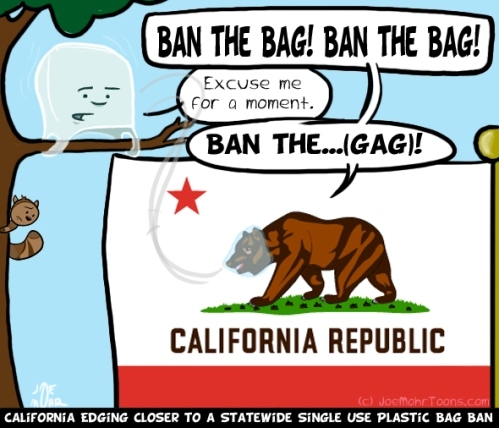 From Factory Direct Promos: Will California Become the First State to Officially Ban Single Use Plastic Bags? From ElephantJournal: If You Love Animals, Boycott Plastic Bags. From Yes! Magazine: Plastic State of Mind–A video parody: Why the age-old “paper or plastic?” question shouldn’t be a question at all. Joe’s cartoon archive, twitter ramblings and StumbleUpon page and Facebook. Love this and all of the awesome work you do to make a difference with humor! !